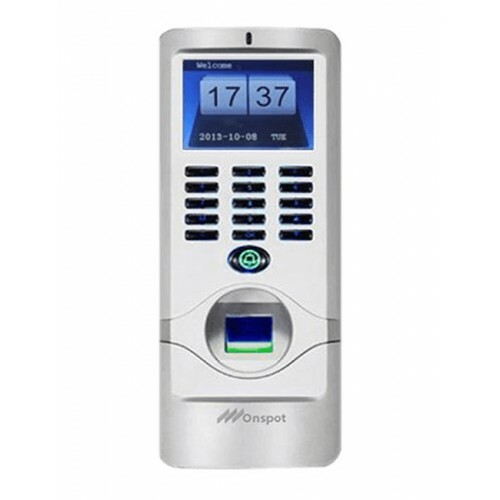 Onspot OSF93 Access Control is biometric door access managing device which IP64 waterproof with a metal surface and suitable for both indoor and outdoor. 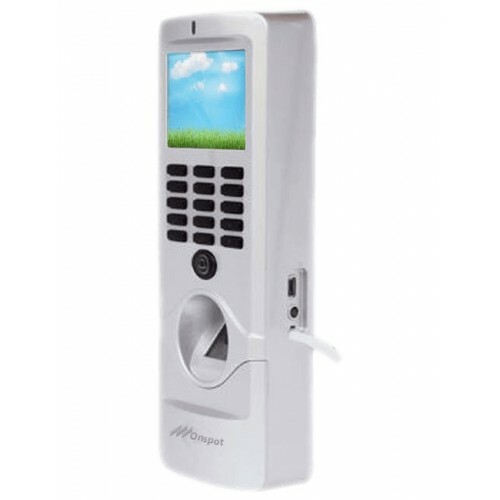 It has multiple identification like Finger Print Access, Card and Password Excess Control where Finger/Card/Password is 5000, Record Capacity is 200000,Fingerprint Sensor is 600 DPI with USB.TCP/IP.RS485.WAN Remote connector and online & offline Working Mode.it has the feature of directly control door lock also via wiegnd access controller its in directly control door lock. Standard TCP/IP. RS485. USB for communication with computer and server together with software management together for time attendance and access control. Lighted keypad for easier operation and using at night. Free SDK and Free software. This unique Access Control provides you 1 year of warranty.